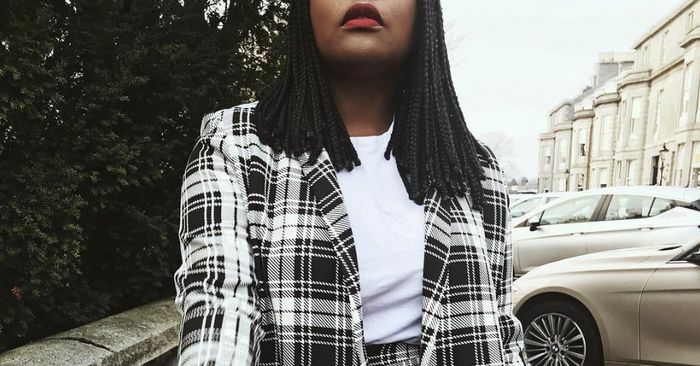 While animal print was one of the biggest trends last year, you’ve probably noticed that there’s another classic pattern that’s having a major moment right now: plaid. From checked two-piece suits to tartan skirts, the fashion world can’t seem to get enough of this traditional print, and neither can we. If you’re looking to wear this statement-making trend in a new way, a pair of plaid booties will do just the trick. This Cher Horowitz–approved print in the form of ankle boots will be a chic and unexpected addition to all of your outfits. Style them with a pair of dark-wash jeans and a cool moto jacket for a foolproof cold-weather ensemble, a classic LBD, or another plaid piece for an outfit that’ll grab anyone’s attention. Are you on board with us yet? We thought so. We rounded up the coolest plaid booties that’ll work for any type of style, from chic combat boots to a polished heeled pair. Shop them all below. For The Love Of God, Why Can’t Anyone Write Kate McKinnon A Good Movie Role? August 5, 2018 Comments Off on For The Love Of God, Why Can’t Anyone Write Kate McKinnon A Good Movie Role?